Are you getting the most out of your Office365 subscription? Microsoft is working hard on improving the business productivity suite by constantly releasing fixes, changes and Office365 Updates. Microsoft has improved the search experience in Outlook for iOS. The account and folder menu has been beautifully redesigned to give you super-fast access to all your accounts, as well as key folders such as Inbox, Drafts, and Groups. Pro tip—Press and hold on account avatar to pin the sidebar open! To reply or access other options, like Forward, simply tap the ellipsis for more actions. On Outlook for iOS, you can also quickly reply to everyone by simply tapping the quick reply box and starting to type. When you’re done, just tap the send button to see your message added to the conversation. This means that you are able to see the rest of the conversation while you type your reply. there are new ways to interact with apps in Microsoft Teams now. Microsoft Teams has revolutionised how we collaborate with our staff on documents, projects, tasks and communication. If you are not using it yet then contact us to find out how to take advantage of this collaborative platform. Even if you work on your own it will improve your productivity. If you manage staff, teams or rosters for your staff then the Microsoft StaffHub is a must use tool. 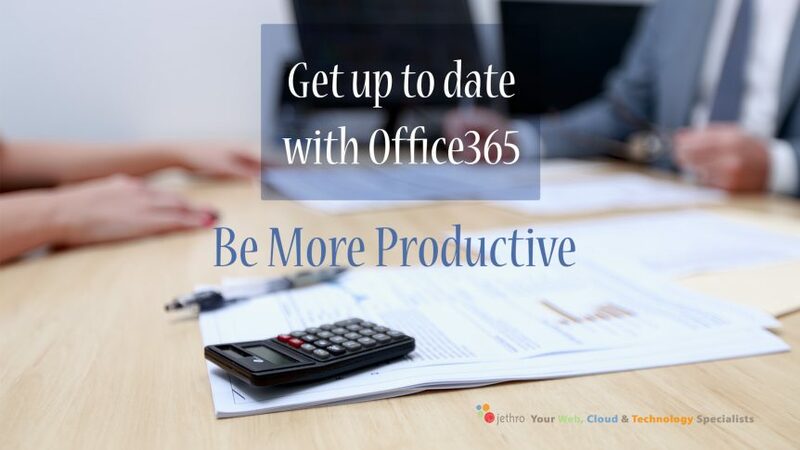 It is tightly integrated into the entire Office365 suite and this Office365 update is being rolled out to some organisations now with general availability soon. Here are some of the benefits and features you will be able to access from the online portal shortly. Access Microsoft StaffHub from the App Launcher, making it easier to discover and access StaffHub. Use StaffHub to assign and track tasks for multiple users, making it easy to monitor team progress against shared activities such as training and onboarding. Take advantage of an updated StaffHub web experience, making for a better overall experience and increased ease of use no matter how you access StaffHub. Benefit from Intune and Mobile App Management, which will help extend security across every endpoint and employee. Directly support customer-defined terms and conditions, thereby helping to address application usage within Firstline Workers. Use the StaffHub Now page to access all the news for the day directly in the app and benefit from a refreshed mobile experience and feature set. Managers create, update, and manage shift schedules for the team. They can also send messages to one person (“there’s a spill on the floor”) or the entire team (“the regional GM is arriving in 20 minutes”). Managers can send policy documents, news bulletins, or videos. They sign in to a web-based app with their Office 365 account here: https://staffhub.ms/. Employees view their upcoming shifts at a glance, can see who else is scheduled for the day, and can request to swap a shift. Staff can download the app on iOS or Android. To learn more, watch this video. Or, see Microsoft’s Office 365 blog post about StaffHub. File Move is a new Office 365 feature. With File Move, you can now move files between locations in Office 365—including personal files and shared sites. This move can happen while preserving the full fidelity of version history and document metadata. Office 2019 client apps will be released with Click-to-Run installation technology only. This enables all customers to take advantage of benefits that enhance security and ease of use while reducing deployment costs. Microsoft won’t provide MSI as a deployment methodology for Office 2019 clients. Office 2019 client and server products will both offer five years of mainstream support, with two years of extended support. Extended support will end 14 October 2025, at the same time as Office 2016. Microsoft has announced the end of Windows 7 and Office 2010 extended support in 2020. In an April announcement, we they shared that, beginning 13 October 2020, Office 365 ProPlus or Office perpetual (i.e., Office 2019) in mainstream support will be required to connect to Office 365 services. Get in touch with us today if you still have devices running Windows 7 and we can discuss a migration plan.